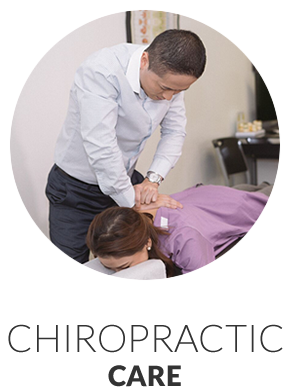 Chiropractor Dr Daniel Su provides the best care and ultimate standard in ‘hands on’ spinal adjustment. 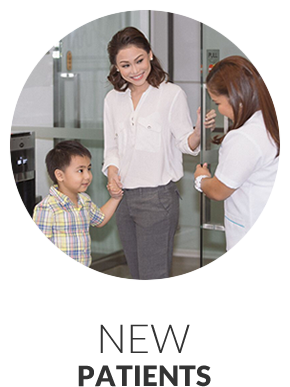 SpinalCare Chiropractic is the first and only specialized Gonstead Chiropractic Clinic in the Philippines. Spinal Care Chiropractic Warmly Welcomes You! Would you like to put pain in your past and live your greatest possible life? At Spinal Care Chiropractic, Taguig City Chiropractor Our Chiropractors have helped numerous people who were held back by various health challenges. Chiropractic isn’t just about your back and neck — you might find that you sleep better, have more energy and don’t get sick as often. We can help your entire body, from head to toe! Chiropractic has become the number-one alternative healthcare profession in the world. It’s practiced in over 100 countries throughout the world with educational institutions around the globe. Dr. Daniel is the only Chiropractor in the Philippines who specializes in highly effective, results-driven Gonstead Chiropractic. We’re committed to ongoing education so that you receive the gold standard in Chiropractic care. Our patients find our methods gentle, safe and feel they achieve long-lasting results, quickly. We love seeing our patients able to fully enjoy their lives again without the need for medication, physical therapy or surgery. We’ve had numerous people visit Dr. Daniel who were able to avoid having risky, painful back surgeries within just a few adjustments. We are your best choice for a Chiropractor Taguig City. We invite you to take a look around our website. Meet Dr. Daniel and Meet Dr. Joseph, check out our FAQs section or read through some reviews to see the incredible results our patients have gotten from our unique form of care. 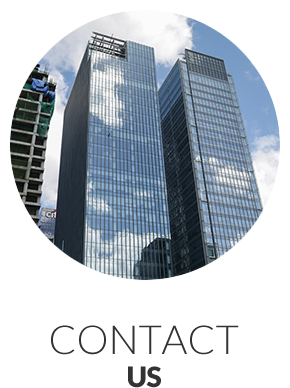 You can contact us today for a same-day or Saturday appointment! After just a couple of sessions, my back saw a lot of improvement and all the knots on my shoulders disappeared. World-class treatment along with excellent facilities and service. I would recommend Spinal Care Chiropractic to my friends. Thank you to Dr. Daniel Su and his staff for helping me cope with my scoliosis. I have seen more benefit working with Dr. Su than my year-long PT sessions at the hospital. I’ve since been a fan and have recommended chiropractic care to my husband, friends and co-workers. Chiropractic adjustments helped my daughter improve her posture and scoliosis. It also helped my son align his back. Spinal Care Chiropractic helped relieved my cervical stiffness which allows me to focus in my office work. My memory and my hearing got better. My sciatica is getting less painful and my sinusitis is gone. I am glad I was referred by an officemate to Dr. Su. My legs, especially my knees felt much better. Dr. Su certainly knows what he is doing. I have recommended you to friends and family visiting the Philippines! I will come and visit again when I come home! Dr. Su changed my life. I was told that I may never surf, or ride a motorcycle ever again. I was even told that I needed surgery for my herniated disc. After 2-3 sessions my pain was practically non-existent. I couldn’t believe it was possible. I recommend that everyone should come in for a consultation, at the very least, and have their lives turned around. Nag-improve and paglalakad niya. Naglalakad siya minsyan hindi na niya ginagamit yung walker niya. Medyo gumaan na yung heaviness ng balakang niya. Ive been a patient here for 3 years and i am highly satisfied with Dr.Su’s treatments. It has not only helped me mobilized properly problem parts of my body but my total wellness as well as my sinusitis is now controlled as well as my reflux. The staff are all friendly as well. I highly recommend spinal care to all age groups. We will strongly recommend to our friends and family. Thanks to Dr Su and staff. Dr. Su changed my life. I was told that I may never surf, or ride a motorcycle ever again. I was even told that I needed surgery for my herniated disc. After 2-3 sessions my pain was practically non-existent. I couldn’t believe it was possible. Now, I cant wait for our appointments because I feel better and better everytime. I recommend that everyone should come in for a consultation, at the very least, and have their lives turned around. With a sore tailbone and mild scoliosis, I literally screamed and cried for nights I couldn’t walk, get up and sleep. My legs couldn’t handle my big bump too. I just want to thank Doctor Su for being a miracle healer. No more crying. No more pain. Spine is good as new, ready to push for normal. Thanks! Treatments very helpful. Improved my overall posture. Very professional. Very informative. Friendly staff. Dr. Dan Su is one of a kind chiropractor. Whenever I visited him for my lower back pain, he took his time on my complaint and he never seemed to be in a rush to see the next patient. He’s very professional, dedicated and always ensure that after I left his office, I will feel better and well. I will definitely recommend him to my friends. With so much pain at my neck and lower back before I came to know and consult with Dr. Daniel Su, now I’m starting to live a normal life. I’m back to my travels, Zumba classes and construction site visits. Thank you, Dr. Daniel. Before lagi akong natutulog ng nakatihaya lang, hindi ako makatulog ng nakatagilid, now nakakatulog na ako sa side. Best chiropractor ever and also the staff are very friendly. I have had a continuing problem with my neck for over 10 years now and I have never been able to find a solution to the problem. Within 2 weeks of coming to Spinal Care, the pain had all but vanished. I very much thank Daniel & his team for their great work. Continue the good service…and thanks for a very good chiropractor – Dr Daniel Su! Dr. Su is very knowledgeable and professional. He explains clearly what the problems are and what is needed to correct the problems. He is very helpful in referring complementary approaches like massages, yoga, etc. The clinic is very neat and nicely designed. I am so blessed and grateful as they gave me hope that my ordeal will soon be over. At first I was a bit hesitant and scared to try Chiropractic care but everyone was so accommodating and you know that they’re real professionals and know what they are doing. I can’t wait for my next visit and leave all my back problems behind. I feel so blessed and fortunate to have met and spoken to Dr Su. I strongly recommend Dr. Su for people experiencing all sorts of back pain, arthritis, joint pain instead of ordinary chiropractor. He cured my joint pain “arthritis” that I can play tennis again. The therapy seems good to me. The adverse effects of the spinal cord improve a lot. I feel more comfortable now.